While following a boardwalk through the heart of Crosswinds Marsh, we paused to watch an adult eagle leap off the edge of its huge nest and fly overhead. A minute later we were watching a jumbo jet from nearby Detroit Metro Airport streaking low across the sky. Boardwalks, Boeings and bald eagles; this Wayne County park is an unusual place. What was farm fields before 1993 is now one of the largest man-made marshes in the country and easily accessible via more than 5 miles of foot trails, including 1.4 miles of boardwalk over ponds and streams. The marsh – and the 1,050-acre park – is a result of a land swap when nearby Metro Airport destroyed 200 acres of wetland to expand its runways. State law requires developers to create or set aside 1.5 acres of wetlands for every acre destroyed so the Metro Airport Authority bought dry farmland nearby and flooded it in 1994 to create a 304-acre marsh. 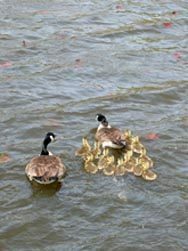 Thousands of wetland plants – such as water lilies, hairy asters and marsh marigolds – were imported and planted, tons of dirt were excavated, drains were redirected, ponds created, park infrastructure was installed. 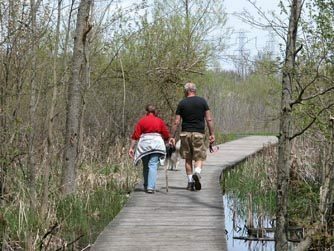 In 1997, Crosswinds Marsh opened as the newest and certainly most unusual Wayne County Park. Ironically before the area was farmland it was a wetlands and a debate still simmers as to whether a man-made marsh can ever be as healthy as a natural one. But it’s hard to argue that wildlife, particularly birds, have found a home here. At last count the marsh was supporting 147 species of birds, including two bald eagles, blue herons, egrets, Virginia rail and a wide variety of waterfowl, and 40 species of mammals, ranging from muskrats and fox to coyotes and whitetail deer. Activities at the park range from fishing to horseback riding along a 5-mile equestrian trail the encircles the park. But clearly the most popular activities are hiking and birding and usually together by following the boardwalks with a pair of binoculars in hand. 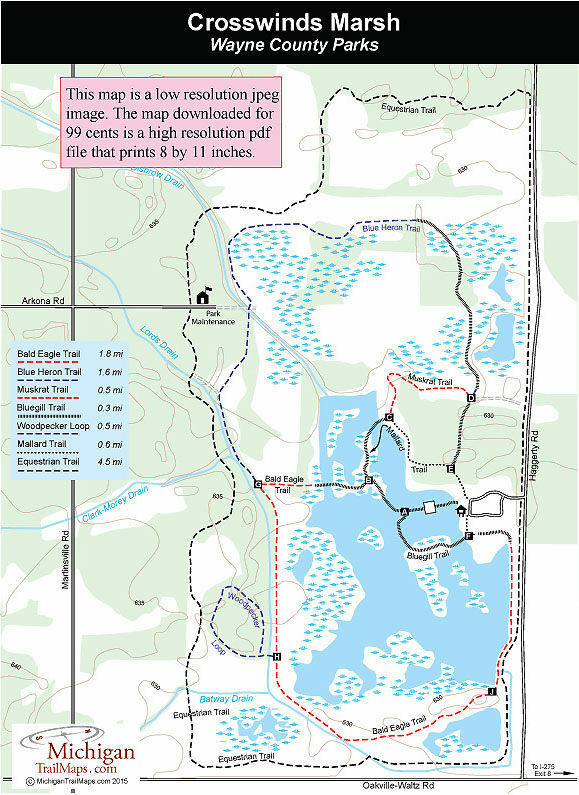 Because the eight trails are short, ranging in distance from a hundred yards to 1.8 miles, the park is an excellent destination for families with young children. 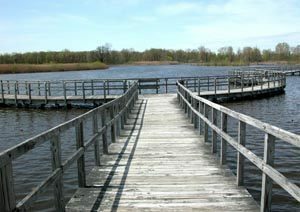 The distances are ideal and the scenery and wildlife seen from the boardwalks will definitely hold their interest for an afternoon no matter the age.